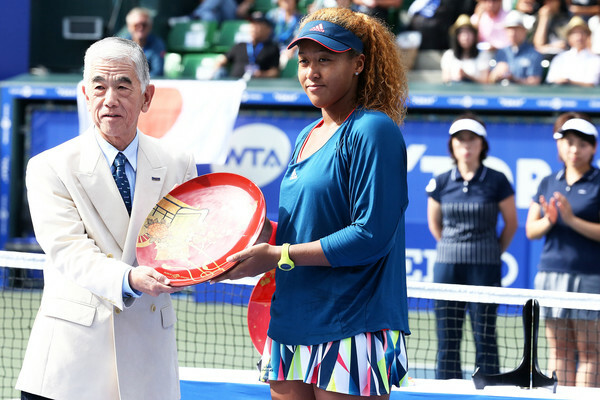 I’ve had my eye on 19-year old Naomi Osaka for a few years. 2016 was a year of breakthroughs as she reached her career high ranking in singles at #40. She also advanced to her first career full WTA level final, the 2016 Toray Pan Pacific Open, finishing runner-up. At the US Open, she had Madison Keys all but finished before letting her off the hook. Had she finished off Keys, I think she had a chance to go deep at Flushing Meadow. Her play has raised eyebrows around the tennis world, with the WTA naming her 2016 Newcomer of the Year. If she continues to develop as she has the past few years, I could see big things…maybe Major things…in Naomi’s future. 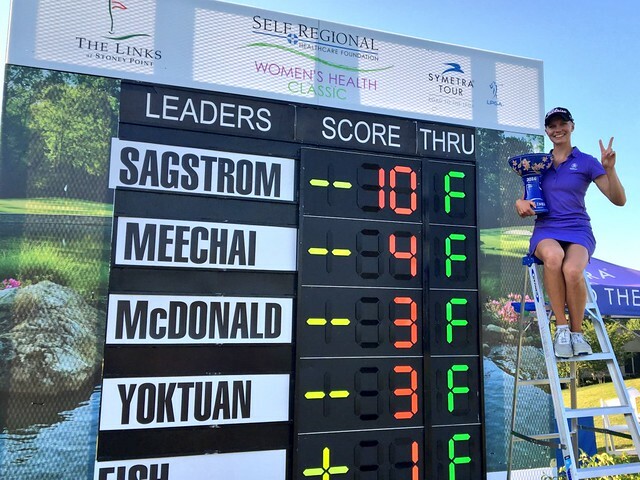 Madelene Sagstrom took the Symetra Tour by storm in 2016, winning Player of the Year and Rookie of the Year honors. In fact, there was more distance between Sagstrom’s money earnings ($167,064) and 2nd place Ally McDonald ($110,359) than McDonald and 10th place Peiyun Chien ($67,577). The 24 year old LSU All-American from Sweden had 3 wins and 11 top 10s in 14 events, including top 5s in her first 5 events. She even won the Ladies European Tour Q-school, although I assume she will focus on the LPGA. For Solheim Cup, she needs to at least be an LET member to play for Europe. For those that don’t follow junior tennis closely, Catherine “CiCi” Bellis announced her potential when the then-15 year old beat Dominika Cibulkova in the first round of the 2014 US Open. 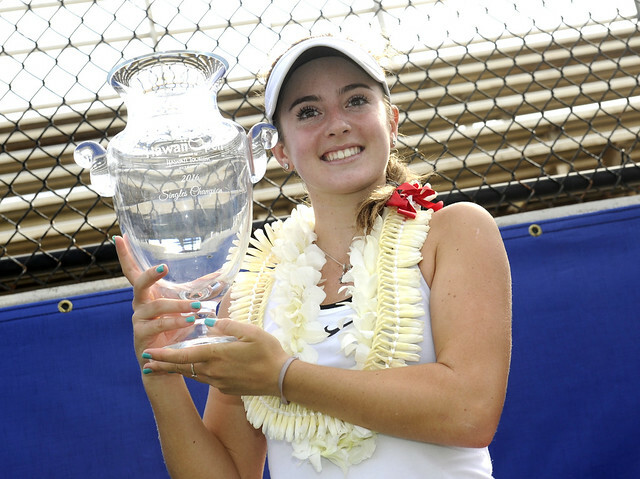 Two years later, 17 year old CiCi Bellis would win her first WTA level title at the 2016 Hawaii Open. As of this post today, she is the sole Top 100 ranked singles player under 18 years old. The former junior world #1 also won 3 ITF level titles in 2016, with a runner-up in a fourth event. 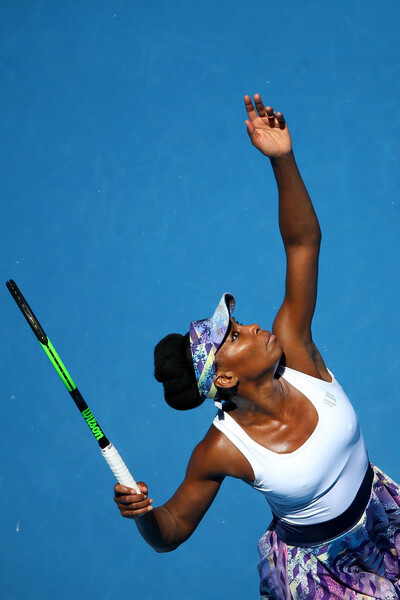 As she matures both in her game, but also physically, the talent is there to join the group of great young American players like Madison Keys, Sloane Stephens, Coco Vandeweghe, Alison Riske and Christina McHale. Any list of potential LPGA movers in a new season should look to the previous year’s LPGA of Korea Tour (KLPGA). 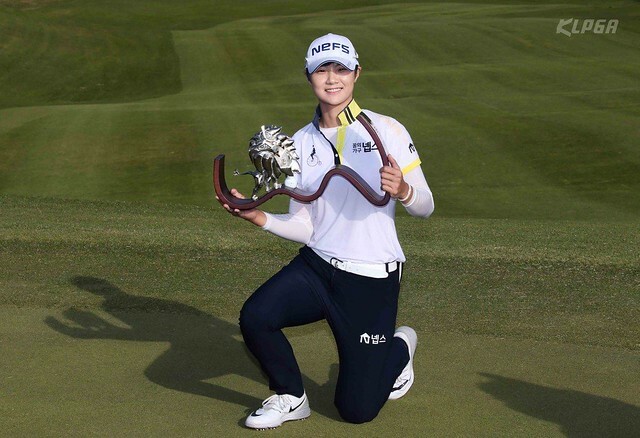 Since the rise of Se Ri Pak and the original Seoul Sisters (Pak, Mi Hyun Kim, Grace Park, Hee Won Han), the Korean tour has been a conduit of top level talent to the States, funneling champion after champion after champion to the LPGA. With that in mind, I’m looking at Sung-Hyun Park, who led the 2016 KLPGA Tour in wins (7), money and scoring…yet somehow was not Player of the Year. At #10 in the Rolex Rankings, Park captured top 10s at two 2016 LPGA Majors, the US Women’s Open and the ANA Inspiration. She was 1 shot off the lead at the US Women’s Open after 3 rounds, finishing T3 at 2 shots back. South Korea has captured the last two LPGA Rookie of the Year trophies (Sei-Young Kim, In-Gee Chun). I’m betting that Sung-Hyun Park makes it 3 in a row. Last edited by bangkokbobby; 01-02-2017 at 03:19 PM. If you want to know how great Karolina Pliskova was in winning the 2017 Brisbane International final 6-0 6-3 over Alize Cornet, look no further than the comments Cornet herself made when she went to press . She called Pliskova’s serve harder to read than Serena Williams. That’s not to say Serena’s serve isn’t more explosive than Pliskova’s. It is. What Alize means is that Karolina’s service motion, her toss and swing mechanics appear the same for enough of the shot that predicting where the ball is going is more difficult to do against her than Serena. That is one of the reasons, along with the speed and power on her serve, that Pliskova led the WTA in aces last year, even before Serena took the end of year off. Cornet also compared 24-year old Karolina’s game to Petra Kvitova…except she said Karolina actually has better hands than Kvitova. What she means is that while Pliskova can hit all of the same power shots that Petra can (Karolina as a right hander, Kvitova as a leftie), she also has the feel to hit slices, different spins, drop shots, etc better than Petra. Some might say, well of course Cornet would build Pliskova up after such a lopsided loss…it makes Cornet not look as bad. But I don’t think Alize is doing that. She is one of the few players that can say they beat Serena twice in the same season. Cornet has had success against Williams. I am going to take her at her word. Let me also congratulate 23-year old Lauren Davis and 20-year old Katerina Siniakova on their maiden WTA singles titles. 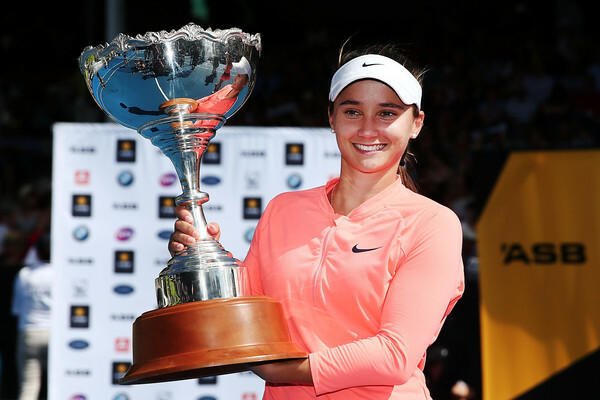 Lauren Davis defeated up and coming Ana Konjuh, 6-3 6-1, to win the ASB Classic in Auckland, New Zealand. With Serena and Venus Williams both in the draw, most people probably thought there would be an American winner…just not Lauren Davis. But Madison Brengle upset Serena and Venus withdrew after her first round match. So well done by Lauren getting the American women in the winner’s column the first week of the year. 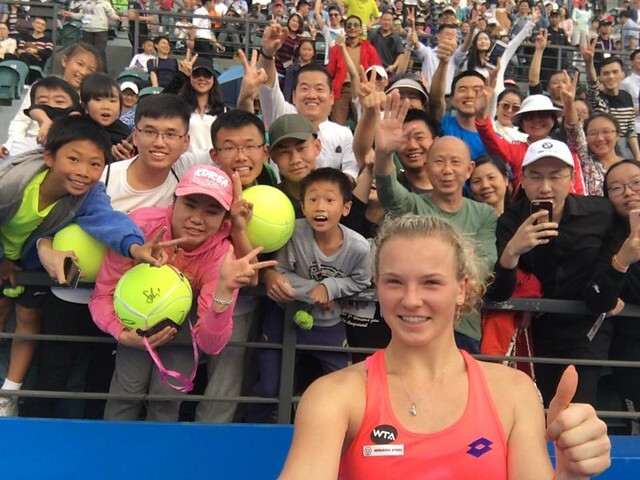 In Shenzhen, China Katerina Siniakova of the Czech Republic prevented it from being two American winners in week one by taking out Alison Riske of the United States, 6-3 6-4, in the Shenzhen Open final. However, I am very happy to see Alison in another final. Not only that, she also beat the #1 seed in Shenzhen, Agnieszka Radwanska, en route to the final. All praise to Siniakova on this day, as well. That’s two Czech singles winners in the first week of the season, Siniakova and Pliskova. One last comment. I have been very pleased with the coverage provided by BEIN Sports Channel of the WTA and ATP this week. I had watched a few tennis events on BEIN last year, but with them expanding their coverage of tennis, particularly the WTA…it’s been amazing. 6 hours plus of tennis on most nights…not from a Major, from regular tournaments…which are so important to the game. The Majors tend to dominate everything. I loved watching the coverage on BEIN. It was well done, and I hate to say this…unlike some American based networks…and I am American, but I want to be fair to all players…the announcers calling the matches didn’t openly favor one player over the other. If you have the BEIN Sports Channel on your cable line-up…find the scheduled time in your area for the WTA and flip over to check out some great tennis coverage. Last edited by bangkokbobby; 01-08-2017 at 05:38 PM. I am a fan of so many of the great athletes on the WTA that just about every tournament winner gives me reason to celebrate. But I do have what I call my Mount Rushmore favorites, my top 4 current faves. Unfortunately, 3 of those 4 will be absent at the 2017 Australian Open. Maria Sharapova won’t be back from her suspension until April 26th in Stuttgart, at the 2017 Porsche Tennis Grand Prix. Madison Keys is recovering from wrist surgery. Petra Kvitova’s future tennis career could be in doubt after sustaining serious injuries to her left hand fighting off a home invader. Still wishing her the best no matter if she returns or not. I know she says she will, but in the end nobody really knows how her hand will function with all the grip changes required to play tennis. That leaves only Simona Halep from my Mount Rushmore. With that in mind, I’ll just comment on what I’m watching in each quarter of the women’s singles draw. The top seed and defending champion Angelique Kerber has not looked particularly sharp to start the year. On paper she is the heavy favorite to get out of this quarter, but lurking is 23rd seed Daria Kasatkina, who has already beaten Angie this year in Sydney at the Apia International. Kasatkina is a future Major winner barring injury or burnout. You can count on that. I just don’t know if it will be this year. Also in this quarter is a rejuvenated Eugenie Bouchard, who has looked good early this year beating WTA Finals winner Dominika Cibulkova and Anastasia Pavlyuchenkova. For me, there are a few interesting subplots in this section. First of all, it pains me to see 4 young Americans all grouped together. Even if they can upset some other players, the problem of playing each other still exists. For example, Lauren Davis, who just won her first WTA singles title at the ASB Classic in Auckland, takes on fellow American Samantha Crawford in the first round. If that were not bad enough, Americans Alison Riske, runner up this year at Shenzhen, and Madison Brengle, who upset Serena Williams at Auckland earlier this month, also face each other in round 1. So while 2 Americans are guaranteed to advance, it’s also guaranteed that half the Americans in this section will be gone by round 2. On a more positive note, it’s great to see Shuai Zhang, who was considering retirement last year until an improbable run at the Aussie Open, coming in this year seeded 20th. She could be a big problem for anybody in this section. But the big gun, if she plays the way she is capable of playing, is Garbine Muguruza. The reigning Roland Garros champion should be the class of this section. However, you just never know about Mugu. Looks unbeatable one day, can’t find the court the next day. If she holds form throughout, she can win in Melbourne. The Olympic Gold Medalist Monica Puig is in this section. I watched her lose a match earlier this season. She has every shot. When she gets it rolling she is as good as anybody. It’s just those stretches of unforced errors that kill her. If she ever finds consistency in her game, like she did in Rio, she would be a Major winner pick. As it is, she does have a chance. Simona Halep, one of my Mount Rushmore faves, should be the ace in this section. However, she has potential problems in the very first round against rising American Shelby Rogers. Puig could face Halep or Rogers in round 3. Puig has the ability to win against either of those players. She could also beat Venus Williams at this point in the future Hall of Famer's career. Puig could also be out in round one. Elina Svitolina is another one of those who has a victory in recent years over Serena Williams, defeating her at the Rio Olympics. Look out for the 11th seed. I don’t underestimate the veteran Svetlana Kuznetsova, but if you ask me my honest opinion, despite being seeded lower I look at Svitolina as the player to beat in this quarter. If there is a dark horse lurking in this quarter, it could be Katerina Siniakova. The 20-year old won her first WTA singles title a few weeks ago at the Shenzhen Open. I don’t know if she is ready for the pressure of making the second week of a Major. If she is, Katya could upset the bigger seeds in this section. 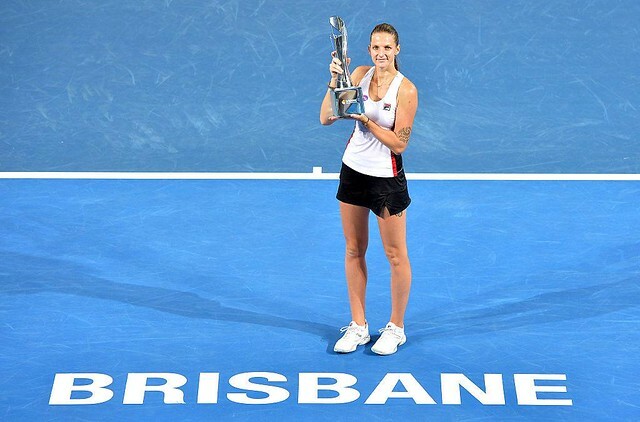 For those not picking Serena Williams or Angelique Kerber to win the 2017 Australian Open, the trendy pick seems to be Karolina Pliskova. She beat Serena at the 2016 US Open. She won Brisbane a couple of weeks ago, thrashing Alize Cornet in the final. You know something? I’ll go with the trendy pick and say Karolina Pliskova wins her first Major this year in Melbourne. With all due respect, I see nobody in her quarter who should trouble her. If Karolina doesn’t at least make the quarterfinals here, it’s a letdown. Agnieszka Radwanska is still searching for that elusive first Major. This quarter sets up nicely for her if she’s in form. She is coming in off a runner-up in Sydney at the Apia International. I always worry that Aga plays too many tournaments, that despite her great fitness it is too tough to play so many weeks right before a Major. She should take this section, although Alize Cornet often finds a way to play the spoiler. Also in this section is Samantha Stosur, who carries the burden of playing in front of her home country. It often has not been a burden that she has carried well. Hopefully, she can have a good 2017 Australian Open. The top seed in this quarter is 2016 WTA Finals winner Dominika Cibulkova, and she is truly a threat every time she takes the court. But the player I am watching most closely is Great Britain’s Johanna Konta. She comes in after winning Sydney in impressive fashion. I went with the trendy outside pick of Karolina Pliskova, and I will stick with that. However, outside of Serena and Angie…and Karolina…maybe I’d go with Jo Konta as a potential winner. Also lurking here is former world #1 Caroline Wozniacki. She has shown some flashes of the old Sunshine. I need to see more before I call her a threat to win a Major, but something tells me she will not retire without winning at least one. The toughest match for Serena Williams in her quarter might be her first one. Belinda Bencic has beaten Serena before. Because of injuries, Bencic’s ranking has slipped to the point where she isn’t seeded. But make no mistake, she has top 15, maybe even top 10 ability. The problem is I am not sure where Belinda’s game is right now. Is it sharp or is she still working herself into form? She will need to be sharp to win…unless, of course, the same Serena that lost to Madison Brengle in the windy conditions at Auckland shows up. Don’t count on it. Bencic says she looks forward to playing Williams in the first round. Be careful what you wish for. Last edited by bangkokbobby; 01-15-2017 at 12:52 AM. With the first week of women’s singles in the book, here are 7 players that caught my eye. I am posting this before the bottom half determines its quarterfinal match-ups. I’m always a little hesistant to pick Garbine to win a tournament. She has all the talent, but I don’t know what Mugu will show up from match to match. The reigning Roland Garros champion has been solid in Melbourne, having yet to drop a set. She hasn’t been spectacular like Johanna Konta. Garbi’s first two matches in particular, against Marina Erakovic and Samantha Crawford, were tight straight set victories. Still, Muguruza is the top ranked player remaining in the top half of the draw. Coco Vandeweghe will be no easy task in the quarters. And if Garbi gets by her, the Venus Williams vs Anastasia Pavlyuchenkova winner awaits in the semis. 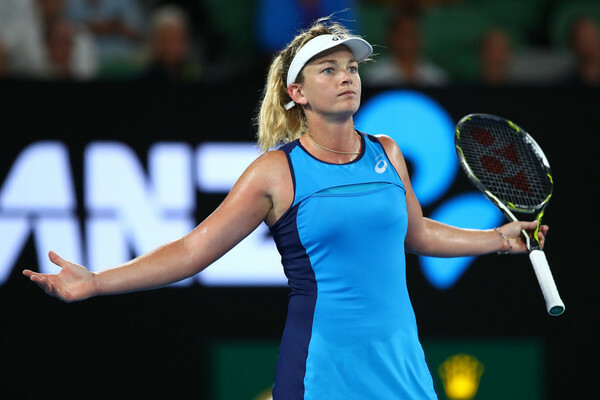 American Coco Vandeweghe took out the #1 seed and defending champion Angelique Kerber the same way she took out Eugenie Bouchard in the previous round, by blasting away. I can’t wait to see the Muguruza vs Vandeweghe quarterfinal. It will be two fearless players with huge games. What Coco hasn’t faced yet in the her draw is somebody who can serve like Mugu can. But Coco won’t be intimidated no matter what Garbine throws at her. I guarantee you right now ESPN is praying for a Venus vs Serena final. And it could happen as Venus Williams is still alive in the top half of the draw. Venus is playing well, but I have to be completely honest. It’s difficult to read how she will play in her quarter against Pavlyuchenkova or a potential semifinal versus the Muguruza-Vandeweghe winner. So far, Venus has not faced a seeded player. Pavlyuchenkova will be her first. In fact, Venus has reached this point with two of her opponents being qualifiers. I’ll be very interested to see how she looks in the first set against 24th seed Anastasia Pavlyuchenkova. My pick to win the title was on the brink of being out in the third round. Karolina Pliskova destroyed her first two opponents but then found herself down 2-5 in the third set of her third round match against Jelena Ostapenko. The reigning US Open runner-up was able to battle back and outlast Jelena 10-8 in the final set. She is likely to have the entire crowd against her when she takes on Australia’s Daria Gavrilova in the 4th round. But like Coco Vandeweghe, Karolina is fearless. She wasn’t bothered when the crowd was against her when she upset Serena Williams at the US Open, so I doubt she will let the crowd get to her down under. 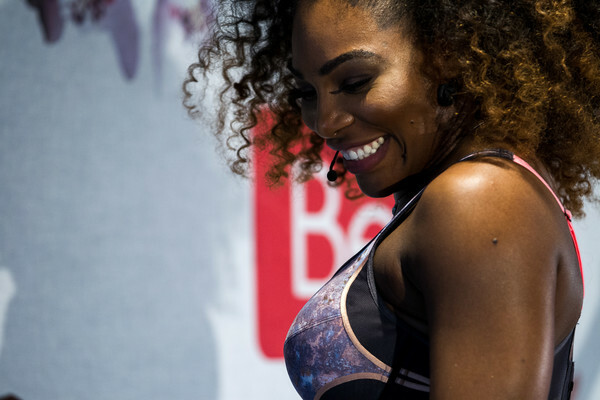 There still exists the possibility of all four semifinalists being American; Serena Williams, Venus Williams, Coco Vandeweghe and…Jennifer Brady? The former UCLA Bruin might be the last player left in the women’s draw who actually played collegiate tennis. Ranked 116th, she is the only qualifier left. Even if she loses her fourth round match, it’s been a great run for her in Melbourne. Making the 4th round guarantees her 220,000 Australian dollars (around $166,000 USD). For a player with her ranking, that is a terrific way to start the year and maybe a springboard to finishing the year top 75 or top 50, if she can build on her showing here. As much as I would love to see Jennifer Brady keep winning, I have a soft spot for her 4th round opponent, Mirjana Lucic-Baroni. Once a teenage phenom who won her first ever WTA event when she was 15, the now 34-year old Mirjana has endured financial misfortune, injuries and an abusive father. At one point she was completely out of tennis, working at a gas station. Fighting her way back, playing events that would pay her less that $75…not $75,000…$75 period, to have made it back to this point in the game is inspiring. Brady vs Lucic-Baroni is one of those matches where I’ll be happy for the winner and sad for the loser no matter which player those end up being. The most impressive performance in the women’s singles draw is that of Serena…uh, wait a minute, no…ummm, actually Johanna Konta. 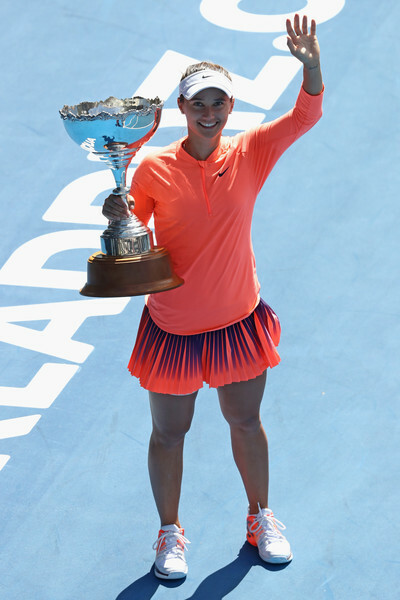 Coming in off an impressive title beating Agnieszka Radwanska in Sydney, Konta has continued surging, taking out Naomi Osaka and Caroline Wozniacki dare I say…easily. She has a tricky 4th round opponent in Ekaterina Makarova, who once upset Serena in Melbourne. Makarova also comes in off an upset of the reigning WTA Finals winner Dominika Cibulkova. If Konta dismisses Makarova the same way she has with other opponents so far, I might have to rethink my Pliskova pick to win it all. Then again, with Serena still alive in the draw maybe I should rethink picking anybody else to win it all. I'm happy to see Mirjana in good form. She was one of the "teen queens" when I started watching tennis in 1997 along with Kournikova, Hingis and the Williams sisters. I remember watching her play Novotna in the 3rd round of the US Open and what a back and forth match that was. Before I welcome back my favorite current tennis player in world…actually my favorite current athlete in the world…Madison Keys, I have to congratulate all the players like Serena Williams, Kiki Mladenovic, Elina Svitolina, Karolina Pliskova and others who won tournaments since the last time I posted. I was hit with a medical issue going into the final weekend of the 2017 Australian Open and for weeks, while still a presence online, I didn’t physically have the energy that it takes to do blog posts with hyperlinked media, analysis, opinion, etc. Just didn’t have it in me. I’ve been adjusting to new medical protocols and diet changes and thought the return of my favorite player was as good a time as any to post again. Coming back from wrist surgery, Maddie sprinted out to to a 6-1 5-1 lead before a bit of a lull had her settle for a 6-1 7-5 victory over Mariana Duque-Marino in round two of the 2017 BNP Paribas Open at Indian Wells. Frankly, I am just happy to see Keys for the first time on court this season. I wish her a healthy remainder of the season. Win or lose, I’ll root for the talented young American. Obviously, I hope she wins a lot more than she loses, but either way I am in her corner. When Elena Vesnina made the singles semifinals of Wimbledon 2016, I thought it was a wonderful achievement. However, I didn’t think it was anything more than an isolated once in a career kind of Major run where everything fell together perfectly. Don’t misunderstand, I know Elena has a Hall of Fame type of resume…as a doubles player. Vesnina is a two time women’s double Major winner. She also has a Tour Championship title and an Olympic Gold Medal in women’s doubles. Add in two Fed Cup championships for Team Russia and a mixed doubles Major title and you have a career worthy of respect. But until that semifinal appearance at Wimbledon last year, then-29 year old Elena had never been past the 4th round of a Major. Actually, she had only ever even reached a Major 4th round three times. As for a Premier Mandatory like the BNP Paribas Open at Indian Wells, it was a similar story. Elena only once had even reached a 4th round. Last year at Indian Wells, she didn’t even make the main draw, crashing out in qualifying. But for those paying close attention to Elena Vesnina in 2016, there was a tranformation happening. A once tempermental singles talent who had underachieved was starting to find her way as a singles player. It wasn’t only that she made a Wimbledon SF. She began the year outside the top 100, dropping to #122 when she failed to qualify for the 2016 Australian Open main draw. She finished the year at #16. The surge came as she reached the quarterfinals of Doha, where she beat Simona Halep, Caroline Garcia and former world #1 Caroline Wozniacki. Vesnina was the first qualifier to reach the final at the Volvo Car Open (Charleston), finishing runner-up to Sloane Stephens. As the wins started to pile up, her ranking also shot up. Now 30 years old, like Francesca Schiavone and Li Na before her, Elena Vesnina is having a late career renaissance. No need to go through qualifying this year at Indian Wells, as Elena came in as the 14th seed. She beat 2016 Player of the Year and reigning US Open champion Angelique Kerber, this year’s Australian Open runner-up Venus Williams and one of the best players in 2017 that the mainstream sports fan doesn’t yet know about, Kiki Mladenovic. The final was an all-Russian affair as she took on two time Major singles champion and 8th seed Svetlana Kuznetsova. It was a very dramatic match. Chris Evert commented during the telecast that each player played better when they would fall behind. It made for great ebb and flow, with Vesnina outlasting her countrywoman, 6-7 (6) 7-5 6-4 to capture her third career singles title, her first since June of 2013. With Serena Williams’ injury questions, Victoria Azarenka and Petra Kvitova still out indefinitely and nobody knowing what kind of game Maria Sharapova will show up with when she returns, the top of the WTA isn’t untouchable for a player like Elena. While she has only 1 win versus the trio of Serena, Vika and Masha (against whom the lone win came), Elena has at least a .500 record or better against Elina Svitolina, Venus Williams, Dominika Cibulkova, Eugenie Bouchard and Lucie Safarova. If she continues to play as she did at Indian Wells this year, controlled emotionally and fearlessly going for her shots, the players currently playing week in and week out are eminently beatable by this version of Vesnina. Last edited by bangkokbobby; 03-20-2017 at 06:27 AM. more pics and video on my blog: 2017 Miami Open Winner Johanna Konta: The Next Major Champion? Although the runner-up at the 2017 Australian Open in women’s singles was Venus Williams, I submit that the 2nd best player (to Serena, obviously) in Melbourne was Great Britain’s Johanna Konta. She had the misfortune of facing Serena in the quarters in a match where Konta played tight as a drum and fell short of what she had shown previous to that round, not even giving Serena much of a fight. Fast forward a few months and the 25-year old Konta has made a statement to the world of women’s tennis that she might now be ready to take the next step to Major glory by capturing her biggest title to date, the 2017 Miami Open. For those that don’t follow women’s tennis, who only know the names Serena, Venus and Maria Sharapova, Johanna Konta winning in Miami might not raise an eyebrow. But for those who have watched her rise up the rankings the past two years, if Serena were to stumble at a Major, Konta would be in the next group of favorites along with the likes of Karolina Pliskova, Angelique Kerber and the returning Sharapova and Victoria Azarenka. She will reach her highest ranking, number 7 in the world, on Monday. I expect her to keep rising to the top 5 sooner rather than later. Serena still rules the women’s tennis world, but if she starts to slip, Johanna Konta could be the next big thing. I admit that the past couple of weeks I’ve still been stewing over that atrocious armchair officiating call-in that sank Lexi Thompson at the 2017 ANA Inspiration. But I can’t let the return from suspension of Maria Sharapova go by without posting. The 5-time Major winner and former world #1 shook off a slow start and early break of serve to defeat Roberta Vinci 7-5 6-3. With all due respect to Vinci, whom non-tennis fans might remember as the woman who shocked the sports world with an upset of Serena Williams in the semifinals of the 2015 US Open, denying Serena the calendar year Grand Slam, this was a perfect opponent for Masha after 15 months away. She has never lost to Vinci, not even a set. More than that, Vinci’s style of play, slicing, spins, getting a lot of balls back in play without a lot of power, allowed Sharapova to find her footing and overcome early nerves. Against somebody like Johanna Konta, Karolina Pliskova or Angelique Kerber, had Masha come out shaky, she might have found herself down 0-4 before working up a sweat. Roberta Vinci was one of the players who spoke out against Maria Sharapova receiving wildcards into events. It’s pointless for me to argue the case for Masha. People will feel how they feel. But while Vinci, Caroline Wozniacki, Dominika Cibulkova, Angelique Kerber and others opposed granting her wildcards, there were players like Svetlana Kuznetsova and Karolina Pliskova who had no issues with the decision of tournament directors allowing Sharapova in. There were also prominent ex-players who spoke in support of Masha, such as Kim Clijsters and Andy Roddick. The bottom line is that Maria Sharapova is back. If Kerber, Simona Halep (another favorite of mine), Domi or anybody else has a problem with the wildcards, then go out and beat her. As well as she played at times today…and her serve was great, 11 aces with a handful of forced return errors…had she been playing an in-form Konta or Kerber today, she probably would have lost. So get her now, ladies. Barring injury, in a few months that 5-time Major winning version of Masha might be back. 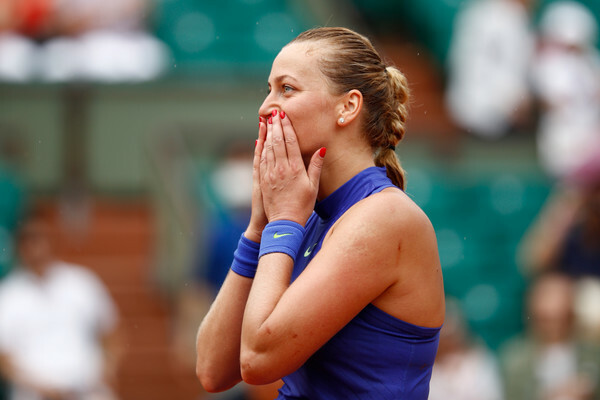 Tears were flowing in the women’s locker room and the stands as Petra Kvitova, one of the most beloved players ever among her peers and fans, made a triumphant return to the tour with a 6-3 6-2 win over Julia Boserup in the first round of Roland Garros 2017. Forget about paying tennis. Keep in mind how close Petra came to losing her life when she had to fight off a knife wielding home intruder 6 months ago. A southpaw, Kvitova suffered severe damage to her left hand when she used it to block the attacker’s blade. There was talk that she might never play again or at best miss the entire 2017 season. To see Petra back this early, still unable to fully control all of the fingers on her dominant hand, and playing well enough to win put smiles on the faces of many in the tennis world. Sure, Boserup is 86th in the world, but there were some who feared Kvitova might be embarrassed after not only the physical layoff, but also carrying the emotional weight of the moment regardless of how low her opponent was ranked. I wouldn’t say Petra is a favorite to take the title here. In fact, despite her enormous talent she has only made it past the 4th round once at Roland Garros. But that’s not even the point, it’s just a wonderful day to see Petra, one of my current Mount Rushmore favorites (along with Madison Keys, Maria Sharapova and Simona Halep), out on court happy and healthy.